Celandine (Chelidonium majus) is native to Europe, Asia, and North Africa. It was introduced and cultivated in eastern North America as an ornamental. It occasionally escapes cultivation and is now well established in moist woodlands from Maine to Ohio south to Virginia. It is uncommon in Minnesota. Celandine is found in full sun to light shade in moderately moist woodlands, thickets, hedge rows, roadsides, railroads, and waste places. It produces small clusters of bright yellow, 4-petaled flowers from May to August. There is a double-flowered form of this plant that produces flowers with 12 to 24 petals each. The sap is bright yellow or yellowish-orange and toxic. It is a skin irritant and has been used medicinally to treat warts. 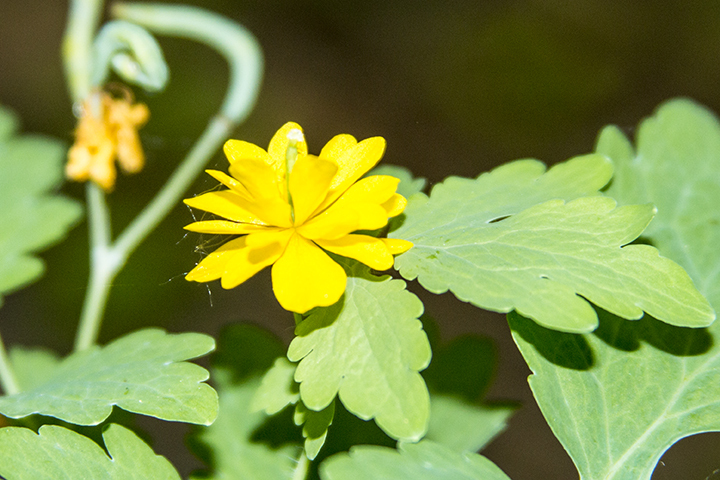 Celandine is easily identified by its leafy stems with 5- to 9-lobed leaves; bright yellow, 4-petaled flowers; and ascending, slender, hairless seed capsules. There are no similar species in Minnesota. This entry was posted in Plants and tagged celandine, Chelidonium majus on March 27, 2016 by John Valo. Aspen Bolete (Leccinum insigne) was first described in North America in 1966. In the summer and early fall it is found on the ground, widely scattered or in groups, in woods and woodland edges under aspen and possibly also under birch. The species name means “distinctive or outstanding” but the mushroom was named for the Italian soccer player Lorenzo Insigne. Most sources state that it is safe to eat, but it has recently been thought to cause gastrointestinal distress in some individuals. Scaber stalk mushrooms can be easily identified to the genus, less easily to the species. All have whitish or pale stalks covered by numerous short, rough, projecting scales (scabers) that turn dark at maturity. 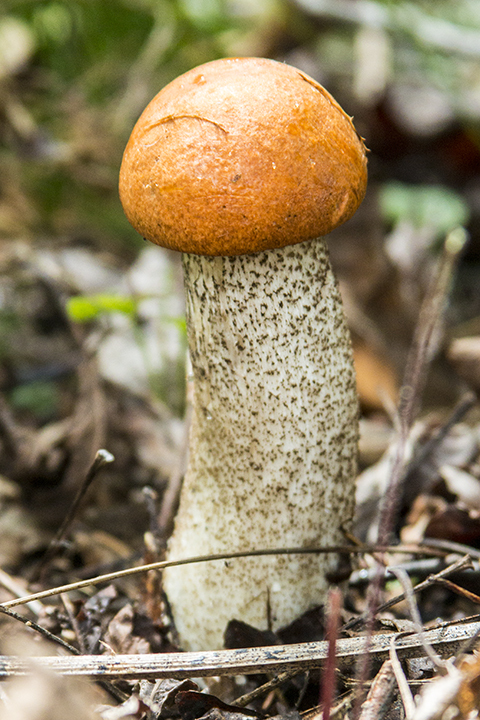 Many are similar in appearance and are often misidentified as Red-capped Scaber Stalk (Leccinum aurantiacum), even in printed guides and on popular mushroom Websites. However, recent DNA analysis suggests that Red-Capped Scaber Stalk is a European species that does not occur in North America. Aspen bolete is distinguished by the dry, orange or orangish cap that turns bluish-gray or purplish-gray when bruised or cut; the stalk that tuns blue at the base when cut; and its habit of growing under aspens. This entry was posted in Fungi and tagged Aspen Bolete, Leccinum insigne on March 19, 2016 by John Valo. 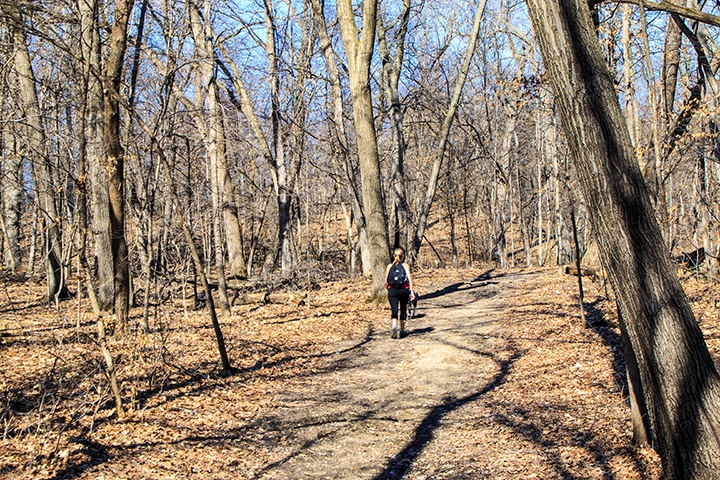 Stanley Eddy Memorial Park Reserve is the largest park in the Wright County park system. Its 879 acres are divided between three units. The North and South Units consist of forested rolling hills, small wetlands, and very little open area. The North Unit includes an unnamed lake, shoreline along Widmark and Pickerel Lakes, and 3½ miles of hiking/horse trails. 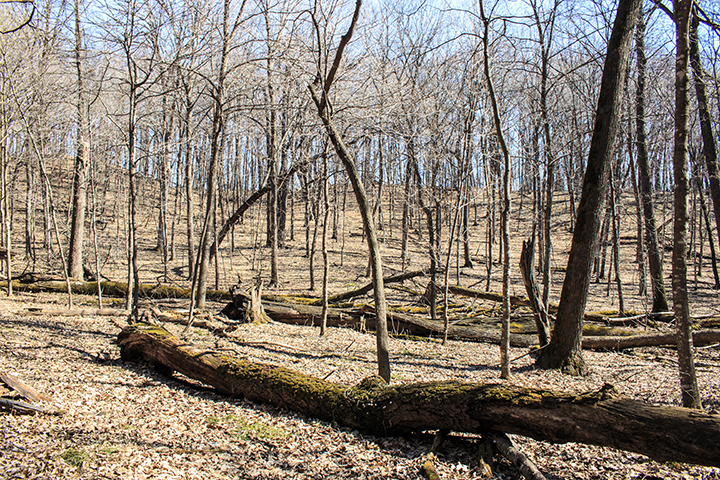 The South Unit includes a scenic overlook and the highest point in Wright County, and 4 miles of hiking/horse trails. The Middle Unit is a boat access on Moose Lake. Park benches are conveniently located next to the trail after all steep climbs. The trails are marked but hikers on their first visit may benefit by printing and bringing the trail maps (see Maps above). Horses are not allowed on the trails between November and May. The distinctive call of Red-shouldered Hawks greets visitors in very early spring. This entry was posted in Nature Destinations and tagged Stanley Eddy Memorial Park Reserve on March 12, 2016 by John Valo. 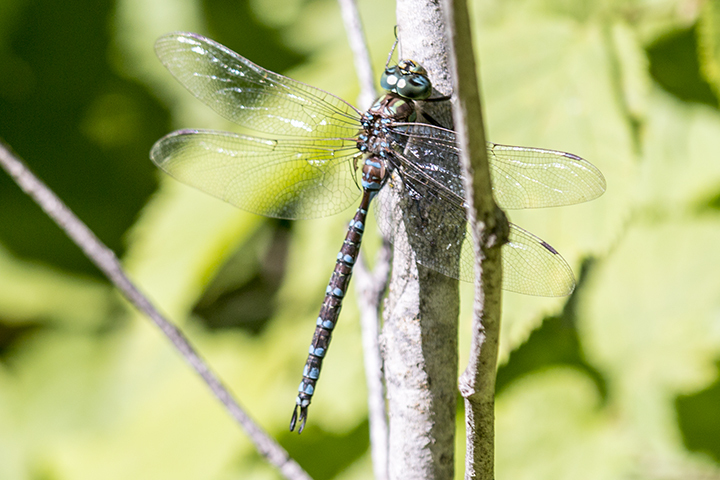 This entry was posted in Insects and tagged Aeshna eremita, lake darner on March 1, 2016 by John Valo.